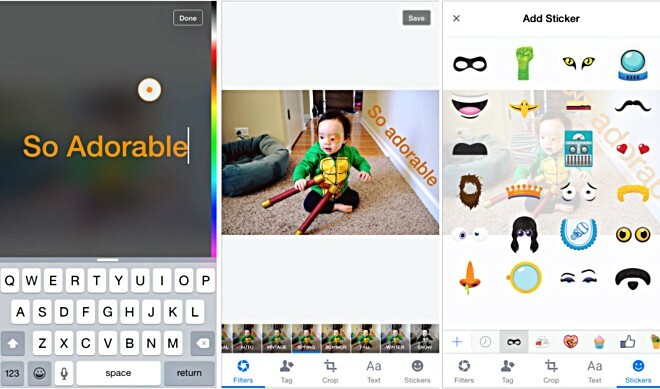 Facebook is currently testing a new iOS photo uploader which will allow users to put Snapchat-like filters, text, and stickers on their pictures, according to a TechCrunch report. Facebook emulating Snapchat’s features shouldn’t really come as a surprise given that the world’s largest social network in 2013 tried to acquire the latter for $3 billion but the offer was turned down. Facebook’s Slingshot app is also widely perceived to be a Snapchat clone. There is currently no word on when the new iOS photo uploader will be released. It’s worth mentioning that Facebook for Android supports text and sticker overlays.